The ascending tracts refer to the neural pathways by which sensory information from the peripheral nerves is transmitted to the cerebral cortex. In some texts, ascending tracts are also known as somatosensory pathways or systems. Conscious tracts – comprised of the dorsal column-medial lemniscal pathway and the anterolateral system. Unconscious tracts – comprised of the spinocerebellar tracts. In this article, we shall look at the anatomy of the ascending tracts, and consider their clinical implications. 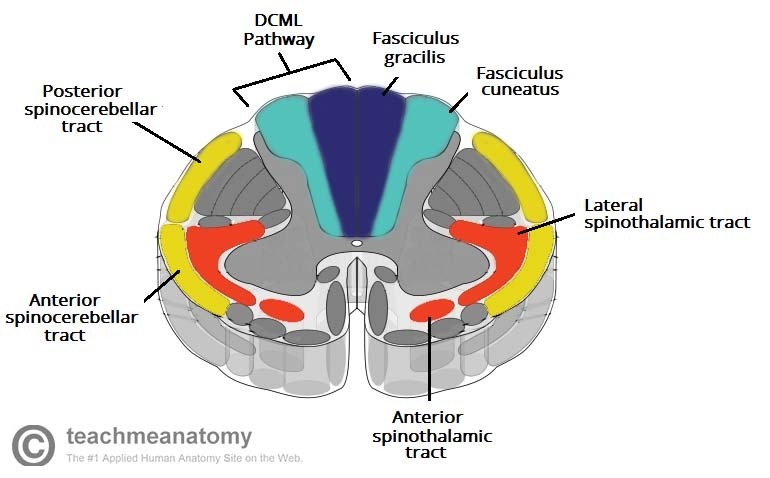 The dorsal column-medial lemniscal pathway (DCML) carries the sensory modalities of fine touch (tactile sensation), vibration and proprioception. Its name arises from the two major structures that comprise the DCML. In the spinal cord, information travels via the dorsal (posterior) columns. In the brainstem, it is transmitted through the medial lemniscus. There are three groups of neurones involved in this pathway – first, second and third order neurones. Signals from the upper limb (T6 and above) – travel in the fasciculus cuneatus (the lateral part of the dorsal column). They then synapse in the nucleus cuneatus of the medulla oblongata. Signals from the lower limb (below T6) – travel in the fasciculus gracilis (the medial part of the dorsal column). They then synapse in the nucleus gracilis of the medulla oblongata. Fig 1 – The Dorsal column medial lemniscal pathway, which carries the sensory modalities of proprioception, fine touch and vibration. The second order neurones begin in the cuneate nucleus or gracilis. The fibres receive the information from the preceding neurones, and delivers it to the third order neurones in the thalamus. Within the medulla oblongata, these fibres decussate (cross to the other side of the CNS). They then travel in the contralateral medial lemniscus to reach the thalamus. Lastly, the third order neurones transmit the sensory signals from the thalamus to the ipsilateral primary sensory cortex of the brain. They ascend from the ventral posterolateral nucleus of the thalamus, travel through the internal capsule and terminate at the sensory cortex. Anterior spinothalamic tract – carries the sensory modalities of crude touch and pressure. Lateral spinothalamic tract – carries the sensory modalities of pain and temperature. Much like the DCML pathway, both tracts of the anterolateral system have three groups of neurones. The first order neurones arise from the sensory receptors in the periphery. They enter the spinal cord, ascend 1-2 vertebral levels, and synapse at the tip of the dorsal horn – an area known as the substantia gelatinosa. 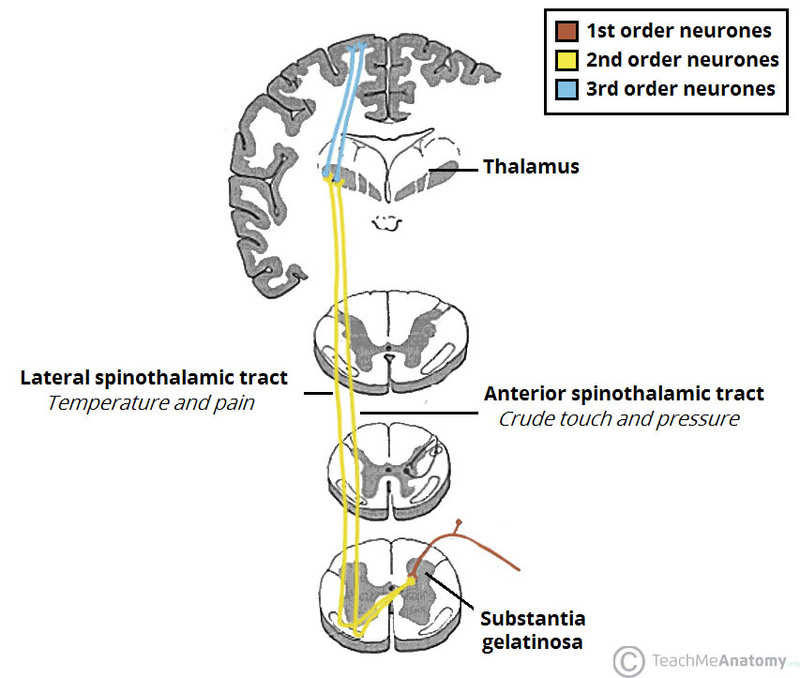 Fig 2 – The spinothalamic tracts, which carry the sensory modalities of crude touch, pressure, pain and temperature. Crude touch and pressure fibres – enter the anterior spinothalamic tract. 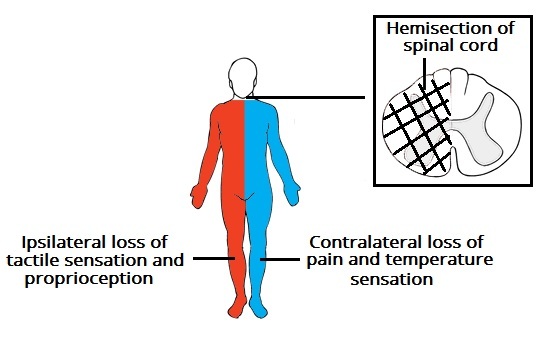 Pain and temperature fibres – enter the lateral spinothalamic tract. Although they are functionally distinct, these tracts run alongside each other, and they can be considered as a single pathway. They travel superiorly within the spinal cord, synapsing in the thalamus. 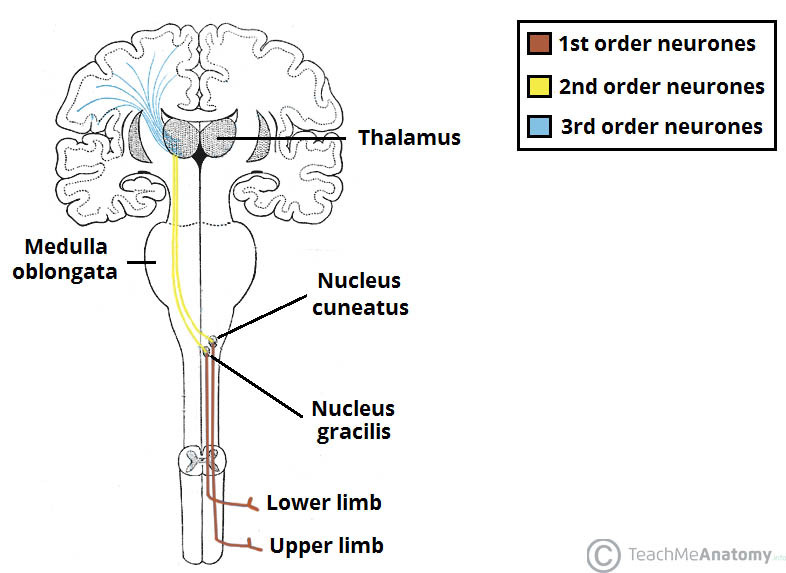 The third order neurones carry the sensory signals from the thalamus to the ipsilateral primary sensory cortex of the brain. They ascend from the ventral posterolateral nucleus of the thalamus, travel through the internal capsule and terminate at the sensory cortex. The DCML and the anterolateral tracts transmit conscious sensations, such as pain, touch and temperature. The tracts that carry unconscious proprioceptive information are collectively known as the spinocerebellar tracts. Although we cannot physically acknowledge these signals, they help our brain co-ordinate and refine motor movements. Posterior spinocerebellar tract – Carries proprioceptive information from the lower limbs to the ipsilateral cerebellum. Cuneocerebellar tract – Carries proprioceptive information from the upper limbs to the ipsilateral cerebellum. Anterior spinocerebellar tract – Carries proprioceptive information from the lower limbs. The fibres decussate twice – and so terminate in the ipsilateral cerebellum. Rostral spinocerebellar tract – Carries proprioceptive information from the upper limbs to the ipsilateral cerebellum. Fig 3 – The location of the ascending tracts, within the spinal cord. A lesion of the DCML pathway causes a loss of proprioception and fine touch. However, a small number of tactile fibres travel within the anterolateral system, and so the patient is still able to perform tasks requiring tactile information processing. If the lesion occurs in the spinal cord (which is most common), the sensory loss will be ipsilateral – decussation occurs in the medulla oblongata. DCML lesions can be seen in vitamin B12 deficiency and tabes dorsalis (a complication of syphilis). Injury to the anterolateral system will produce an impairment of pain and temperature sensation. In contrast to DCML lesions, this sensory loss will be contralateral (the spinothalamic tracts decussate within the spinal cord). 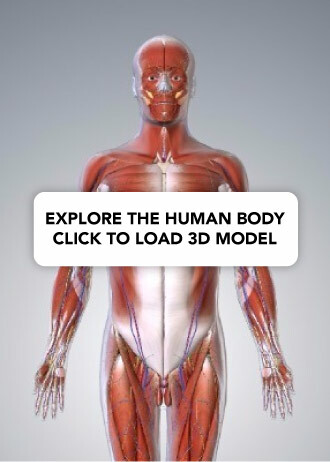 DCML pathway – ipsilateral loss of touch, vibration and proprioception. Anterolateral system – contralateral loss of pain and temperature sensation. It will also involve the descending motor tracts, causing an ipsilateral hemiparesis. Fig 4 – Brown-Séquard syndrome. This is rarely seen in clinical practice, but does illustrate the decussation of the sensory pathways. Lesions of the spinocerebellar tracts present with an ipsilateral loss of muscle co-ordination. However, the spinocerebellar pathways are unlikely to be damaged in isolation – there is likely to be additional injury to the descending motor tracts. This will cause muscle weakness or paralysis, and usually masks the loss of muscle co-ordination. Which of the following sensory modalities is transmitted by the dorsal column-medial lemniscus pathway? Which tracts carry unconscious proprioceptive information?